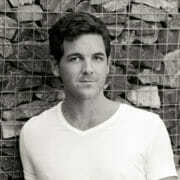 Elsa Young is a renowned South African photographer who has captured beautiful images for a variety of publications and people. Elsa has taken beautiful photographs of Londolozi for over four years now, the results of which can be seen on both our blog and website. On her most recent trip to Londolozi, Elsa captured the below picture. Owing to the different elements in it which captured my attention, I wanted to break down why this is a great image as well as to provide a couple of hints for enhancement. With luck you will be able to take some of these thoughts and ideas to apply to your own images when out in the field. 1. The leopard is looking directly into camera. When photographing portraits of animals, it is critical to ensure that they are looking directly into the camera. Having the subject’s eyes locked on the lens and looking directly at the viewer brings the image to life. It connects the person looking at the photograph with the animal and thus evokes feeling in the image. 2. The image is composed using the natural shapes and lines to frame the subject. Apart from the stirring gaze of the leopard, what immediately captures my attention about this picture is the way in which the fork of the branch creates a Y and frames the subject. In the upper half of the picture there is symmetry; there is balance and there are extra lines which interest the eye and cause it to move around the image. 3. The whole scene has been included. Too many wildlife pictures cut of the tail, the ear or one side of the image. 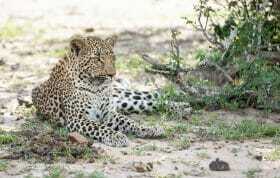 This picture has included both the lower left hand branch as well as the dangling tail of the leopard. Not only does this create closure on how the image looked in reality, but is also brings in a juxtaposition against the balance of the upper half of the image. 4. Juxtaposition to match the subject matter. 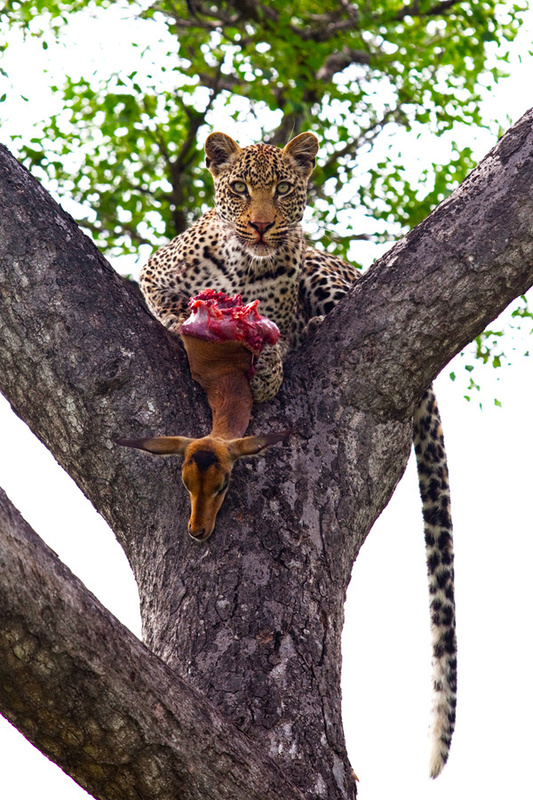 Looking at the subject matter of the picture and seeing a leopard with a half eaten impala creates an uneasy feeling. The story the image tells is slightly darker, slightly more real than a simple portrait. 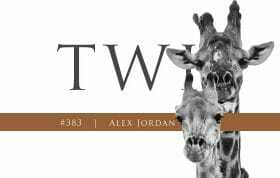 By having the perpendicular line of the bottom right tail and the bottom left branch disturb the balance of the image, that uneasy feeling is heightened owing to the change in symmetry. 5. It tells a great story. Not only should wildlife images evoke emotions in the moments that they capture but they should also tell their own story. This image does just that through the a couple of different elements. 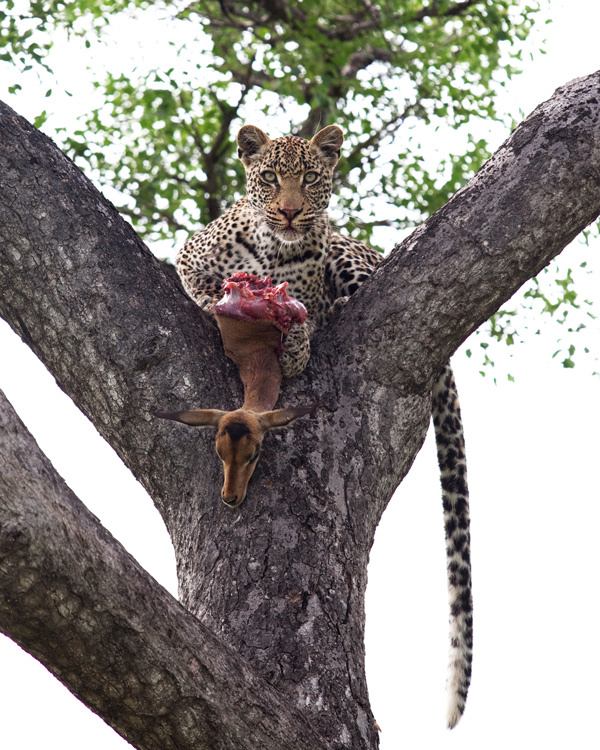 The leopard in the tree; the half eaten impala kill, the stern look on the leopard’s face; the stiffness in the tail. Believe it or not, all of these subtle factors play a part in telling the story and creating the feeling around an image. 1. Boost up the contrast, vibrancy and saturation slightly. By taking the contrast up, the focal point of the image pops out. When you begin to saturate and increase vibrancy, this ‘popped out’ image quickly gains more colour. Added to this is the natural green background which illuminates further. 2. Out in the field, it would have been worthwhile to side light the image with a flash. In a perfect world the flash would have been setup just right of the camera to avoid red-eye. By placing it here it would have given the leopard a sharper glint in the eye, lightened the tail, face, impala and front of the tree. Perhaps the most important thing it would have done it allowed the exposure of the image to come down and thus given the background a darker colour and more contrast whilst leaving the focal point of the image lit up. Getting the exposure correct for an animal in the shade can be a difficult technique, often leaving the background overexposed and blown out. 3. Cropping it to 4 x 6 layout. This image is undoubtedly best suited for a portrait layout and by cropping it to narrower parameters two things happen: The height of the image is enhanced and the different lines of interest throughout the image are accentuated through this length. Let me know what you think of the above photograph, breakdown of ideas and the suggested changes. Do you have any adjustments or things that you would have done differently for this image? Senasational. Thanks for the tips. My brother has been trying to teach me the ways of photography 🙂 Lets see if I can throw some fancy words his way now 🙂 haha! 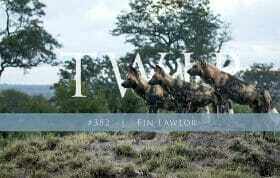 Rich, I am on my way for my second trip to Londolozi in a few weeks. Can’t wait to return. I have been going over my photos from 2008 thinking on ways of improving. 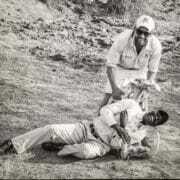 I was fortunate to have Chris and Jerry as ranger and guide and they took care to get good angles for photographers. In your commentary, you mention where a flash would help. I was told not use my Better Beamer and haven’t planned on bringing it with me. Is there a rule about not using a flash? Are there situations where it is allowed? Debby, nice idea particularly in the top left hand corner. Jo the use of flash photography is dependent on the game lodge you visit. 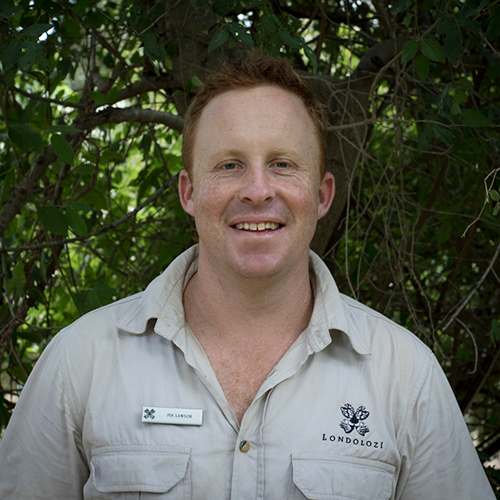 At Londolozi you are welcome to use your flash both in the day time and at night time. At night, the ranger might ask you to use your discretion in flashing diurnal animals such as the antelope, etc as the bright flash leaves them unable to see properly in the darkness for a few moments after it has gone off. For the big cats and other nocturnal animals you can definitely use your flash. Thanks for all the tips. I’ll be back in February 2012 and hope to improve my techniques from November 2010. Mike and Freddy were absolutely great guides and photo mentors on that trip!..but there’s always more to learnh.